Ealing Broadway Area Guide - What makes Ealing Broadway so great? Where do Ealing Broadway locals go? A restaurant / café offering a selection of pastries, but also great for lunch and dinner serving signature Italian dishes. Kids love going to this newly opened restaurant in Ealing. Whenever you think about a burger, Five Guys should be your first choice. A taste of the Caribbean; happy hour on cocktails in the evenings too! An American diner serving hearty burgers, ribs and 2-4-1 cocktails every weekday evening. Farm W5 offers organic produce at great prices and both hot and cold dishes. The juices are fresh and if you're treating yourself, the Victoria sponge cake is amazing! An Ealing institution that does a great curry. Serving cakes, sandwiches, pastries and breakfast, this cafe/patisserie is also a great place for a quick lunch and coffee. A printmakers and framers selling artwork. This place has been going strong since 1984! A friendly service and they arrange the flowers whatever way you want them! A Polish deli selling a fantastic breakfast sandwich! A New York City inspired group fitness studio, which also has a great smoothie bar! Great for breakfast, the eggs royale is amazing! Also the takeaway salad boxes are really tasty and varied. Share your favourite place to go to in Ealing Broadway. "Founder of The Rolling Stones Brian Jones first met Mick Jagger and Keith Richards in the Ealing Jazz Club, which, although no longer bearing this name, is still situated opposite Ealing Broadway Station." 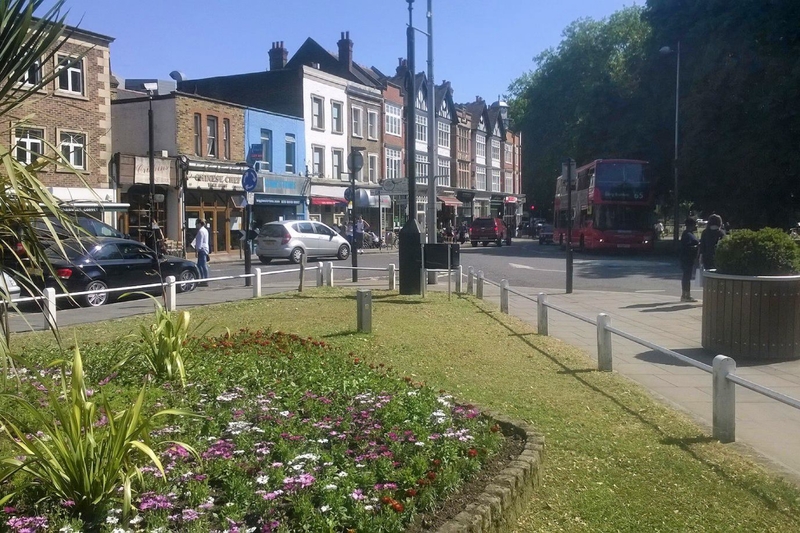 Home to many excellent restaurants and coffee shops, Ealing Green is the perfect spot when the sun is shining. Walpole Park was recently redesigned and offers total tranquility, just a stones throw from the centre of Ealing Broadway. With both National Rail and Underground links, Ealing is a fantastic area for commuters. All classes are fun energetic and are all geared towards promoting a healthy active lifestyle. PPA classes are for children young people & adults who want to improve on or learn new Performing Arts & Fitness skills while having fun doing so. There are opportunities for students to take part in Dance Award & Duke of Edinburgh programmes & Lamda exams and to do work experience with the school. Bumps and Babies takes place every Tuesday at St Mary's church hall W5 5RH from 1.30-3.30pm. Pop along with your bump and/or babies to meet other mums and dads have a cup of tea and to talk to our breastfeeding counsellor. You just need a blanket and suggested £1.50 donation. Contact bumpsandbabies.ealing@nct.org.uk with any queries. See you there! Ealing is a large suburb in west London. It is located 7.7 miles (12.4 km) west of Charing Cross. It was historically a rural village in the county of Middlesex and formed an ancient parish. As part of the growth of London in the 20th century, Ealing significantly expanded and increased in population, becoming a municipal borough in 1901 and has formed part of Greater London since 1965. It now forms a significant commercial and retail centre with a developed night time economy with Ealing Broadway acting as the heart of the area. What are your favourite things about Ealing Broadway? Find out how much your flat or house is worth om Ealing Broadway. Feedback about living in Ealing Broadway has been submitted directly by the public and may not neccessarily reflect the views of Foxtons. The description of Ealing Broadway was modified from Wikipedia and is available under the Creative Commons licence. Land Registry data is Crown copyright. All the views and contributions contained within Foxtons Local Life are those of the contributors. All content is assessed before publishing for taste, however free opinion is encouraged. Foxtons accept no payment or sponsorship for content that is posted about Ealing Broadway.